Whether you’re seeking to recapture your ancestral heritage or simply wish to discover a beautiful and poignant part of the world, this small group tour offers ample opportunity for enrichment, enlightenment, and enjoyment. Both leisurely and comprehensive, it provides a generous overview of four distinctly different – and fascinating – nations. Opened more than 90 years ago, the French-style Polonia Palace Hotel preserves the unique characteristics of early 20th-century architecture while incorporating many contemporary features. The conveniently located hotel stands near the Palace of Culture and Science and numerous shopping areas. Hotel amenities include a restaurant, bar, Internet access, laundry and dry cleaning services, fitness center, and sauna. Each of the 206 air-conditioned rooms comes fully equipped with a private bath with hair dryer, in-room safe, mini-bar, TV, and phone. Located in the center of Old Town on beloved Florianska Street, this is Krakow’s oldest hotel. Indeed, the neo-classical building’s origins date to the 14th century as a private home; it became a hotel in the 17th century. The hotel offers a restaurant, café, bar, Internet access, fitness center with spa, laundry service, currency exchange, and safe deposit boxes. Your air-conditioned room features contemporary amenities, including private bath with hair dryer, mini-bar, TV, and phone. 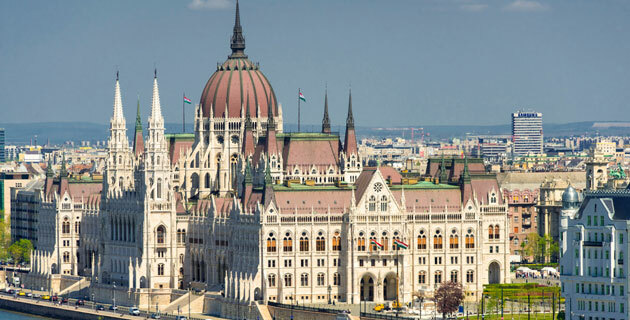 A Gothic building incorporating part of a 16th-century Jesuit college and a 13th-century monastery, the Budapest Hilton is located in the Castle District of Buda, near Fisherman’s Bastion and Matthias Church. Hotel amenities include two restaurants and a lounge, Internet access, laundry and dry cleaning services, fitness center, casino, and elevator service. Your climate-controlled room has a private bath with hair dryer, in-room safe, minibar, TV, and phone. Please note that while you may be expected to pay for Internet access at certain hotels throughout the course of your tour, Internet access at Hilton hotels is higher than most. The Vienna Plaza is located on the famous Ringstrasse, opposite the Vienna Stock Exchange and within walking distance of the city center. Among its facilities: a restaurant, bar, internet access, fitness center, sauna, massage treatments, whirlpool, solarium, and elevator and laundry service. Your air-conditioned room has a private bathroom with hair dryer, mini-bar, in-room safe, TV, and phone. Please note that while you may be expected to pay for internet access at certain hotels throughout the course of your tour, the cost for internet usage at Hilton hotels is higher than most. 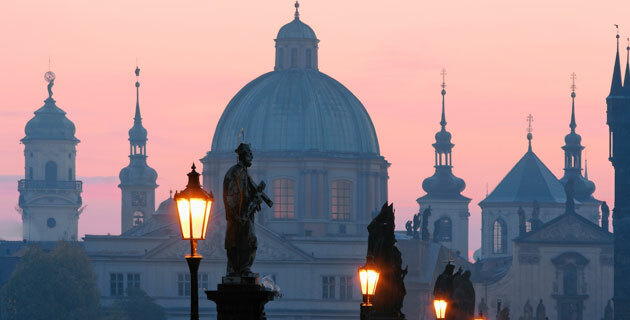 Ideally located in the center of Prague next to Powder Tower and within walking distance of Old Town Square and Old Town Hall, the 78-room Grand Bohemia Praha is just minutes from Wenceslas Square. The hotel offers a restaurant, bar, coffee shop, laundry and dry cleaning services, and Internet access. Air-conditioned guest rooms have private bath with hair dryer, in-room safe, mini-bar, TV, and phone. First opened in 1913, Hotel am Steinplatz has undergone a thorough renovation and was re-opened as a boutique hotel in 2013. The distinctive Art Nouveau façade and desirable location in the center of Berlin have combined to make this hotel a landmark in Germany’s capital. The hotel offers a restaurant, bar, spa and fitness center, and complimentary Wi-Fi internet access. Each of the 84 individually designed guest rooms feature private bath with hair dryer, coffee- and tea-making facilities, mini-bar, TV, and phone. Explore the cosmopolitan German capital – a city of art, culture, and history – as you wish. A portrait of Vienna at the end of the 19th century, this book focuses on Crown Prince Rudolph, his devastating suicide and the rich texture of gossip and daily life at the Habsburg Court. Written by a distinguished historian and native son, this richly detailed portrait of the city at its zenith includes hundreds of illustrations. 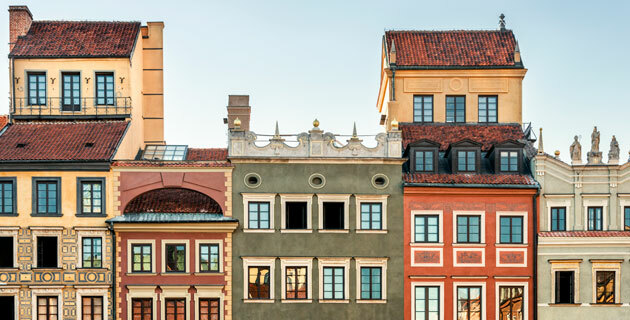 With a chapter each on Warsaw, Budapest, Berlin and Prague, this eyewitness account by an astute journalist and historian shows these vibrant cities during a time of great change. This anthology of 24 vivid stories by Czech writers, both contemporary and well-known, brings the city, history, spirit and people to life. With dozens of maps, color photographs and sections on history and culture, this practical guide introduces Austria, the Czech Republic, Germany, Hungary, Poland and their neighbors. This colorful regional European map ranges from Paris and Amsterdam to Vienna, Prague, Warsaw, Budapest, Rome and Dubrovnik. A laminated, folded map of the city center of Berlin. A hip, colorful pocket guide with an emphasis on the ar-tistic, drawing recommendations from 60 local creatives. Contains helpful travel advice, detailed neighborhood maps and a dust jacket that unfolds into an illustrated map. “I invite you on this journey into the depths of the Polish soul,” writes Lech Walesa in this nuanced guide to Polish history and culture. Co-author Anna Spysz is the former editor of the Krakow Post. One in a new series of cultural handbooks by New European Books. A concise chronicle of the 600-year Habsburg Empire, essential for those interested in European history. Fichtner reveals how the dynasty used propaganda, political maneuvering and public performance to maintain control over an array of cultures and ethnicities. Winder, author of Germania, considers the legacy of the Habsburg Europe in this charmingly digressive history and travelogue. A sensitively written and lively portrait of the highs and lows of Czech history over the past century with special attention to the fate of Prague in war and peace. With skillful scholarship and engaging style, Wheatcroft reveals the history of this family of eccentric monarchs. The changing borders and complex history of Eastern Europe as told through 52 maps and accompanying essays, organized chronologically. An excellent reference, the book shows the rise of Poland, changing borders of the Ottoman Empire, Hapsburgs and fate of Yugoslavia in admirable clarity. Matras delves into the history of the Romani, an ancient and misunderstood European culture that has survived through modern times. Otto Friedrich’s slim book is an intensely personal account of the infamous Auschwitz death camp. He covers the entire history of Auschwitz in short chapters punctuated with eyewitness accounts and testimonies. Challenging myths surrounding Mozart’s health, religion and relationships, biographer Paul Johnson shows with insight the great composer’s lasting impact on the musical world. Kundera’s intriguing novel, praised for its meditations on the nature of men and women, and on the fearful empti-ness of life in Prague under Communist rule. We also carry Kundera’s collection of short stories The Book of Laughter and Forgetting. Magnificently set against the backdrop of the twilight of the Habsburg Empire, Roth’s family saga takes in the sweep of history and empire in Central Europe. The richly textured novel opens at the battle of Solferino, when young Lieutenant Trotta saves the life of the Emperor. A gifted historian, Craig explores the paradoxes of German identity in this masterful portrait of German life, past and present. A haunting tale and penetrating portrait of Vienna after World War II, “The Third Man” is the result of Greene’s collaboration with Carol Reed on the classic movie. “The Fallen Idol” is a separate tale of intrigue set in Britain.